He was born in Baku (Azerbaijani Soviet Republic at the time) on April 13th, 1963 as Harri Weinstein, from Armenian mother and Jewish father. He first began the serious study of chess after he came across a chess problem set up by his parents and proposed a solution to it. When he was 7 his father died and he adopted his mother's surname as soon as was legally possible at the age of 12. His mother's nee was Kasparian and "Kasparov" is the Russianized version of it. He attended famous Botvinnik's chess school and won his first title at Soviet Junior Championship in 1976, aged 13. In 1978 he became a master and decided to commit himself to a professional chess career. His first published ELO ranking was 2595 (in 1979) after excellent performance at GM tournament in Banja Luka. In 1980 he won the World Junior Championship. 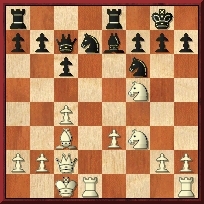 On the next World Championship cycle he easily ran into the candidate phase where he ran over Beliavsky, Kortschnoj and veteran Smyslov respectively. 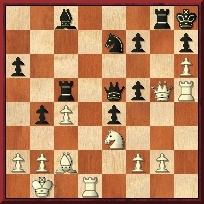 In 1984 he faced "Red Tola" from Zlatoust, a Soviet GM Anatoly Karpov in a WCh match. This one of most memorable WCh matches was set up as best of 11. Karpov took off with excellent 4-0 and it seemed near impossibility for Kasparov to recover even worse that Karpov scored fifth victory soon. But Karpov, having physically weak body, soon fell into serious endurance deficit and was close to total exhaustion. 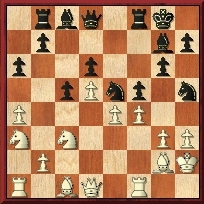 Kasparov made up for a part of a lost ground bringing the score to decent 5-3. 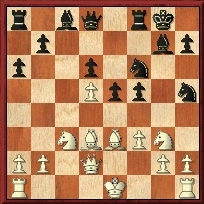 Then the match was ended by Campomanes, the head of FIDE and a new match of 24 games was announced to start within a few months. The second Karpov-Kasparov match in 1985 was quite even both in terms of standard of play and game results and Kasparov went on for a thumping win in the last game to win the match 13-11 and become the youngest ever World Champion at the age of 22. Within next few years he defended his WCh title three times against Karpov. The stand-off lasted until 1993 by which time a new challenger (Short) had qualified through the candidates cycle. Kasparov and Short decided to play their match outside of FIDE jurisdiction and went under auspices of PCA, a professional chess players' association newly created by both players. Kasparov defended his PCA title in 1995 vs Anand before PCA finally collapsed. In 2000 he organised another WCh match, this time under auspices of BrainGames though, and he lost to Kramnik. He played a number of human vs computer matches including a memorable loss vs DeepBlue in 1997 and a spectacular match vs X3D Fritz played at virtual board with use of 3D glasses. Kasparov sustained his will on playing unification match under FIDE auspices but unfortunately this never came true. Meanwhile he won many major GM tournaments earning reputation of one of most brilliant geniuses in the history of chess. In 2003 he edited the first volume of his monumental work Garry Kasparov on My Great Predecessors which he still is working on. The book became total hit winning the title of BCF Book of the Year 2003. His charismatic personality and often showed sense of leadership made it possible for him to exert huge influence on modern chess, both in terms of financial and analytical issues. Garry Kasparov took part in eight Olympiads starting from Malta 1980 with a gap of 22 years between first and last Olympic game. He represented Soviet Union and Russia four times both and all of his appearances, six of them at board one, gave his team the overall win. Apart from that he won 11 individual medals, including 7 gold. In 1986 and 1988 Kasparov hit the jackpot with a pack of three gold medals, one for overall team performance, one for individual percentage performance and one for best performance rating. He holds a thumping 64½/82 record with an overall percentage performance of 78.7%. He won 50 games, lost only 3 and drew 29. His last appearance at the Olympiads was in Bled, 2002 where he led Russia to a win achieving an incredible performance rating of 2940. Thank you Garry for all the joy and magic that you have brought us. Please do not forget your promise to take part at the Turin Olympiad. See Garry Kasparov's full Olympic record sheet here.